Isn’t it great how so many Christmas projects lend themselves to stash busting? I think it’s because Christmas items tend to be smaller and involve using lots of colour. It’s great because we can keep crocheting away even though we are spending on all those Christmas gifts (which we aren’t making) and festive food and have less for our yarn splurges. I’ve been busy making more of these origami baubles this week. I’m sure plenty of you have your decorations up already but for me it’s still a week early, which gives more time to crochet some of these! I tried making a giant bauble out of the chunky yarn left over from my Plaid Cowl using a 10mm hook. I was worried the yarn would be too soft but it turned out great (though it is hard to resist squishing it every time I see it). I’m also pleased because the colours actually go really well in my living room. 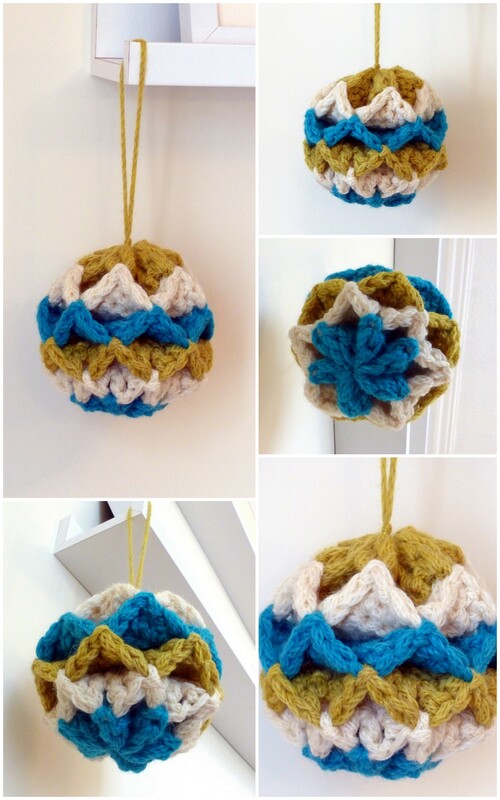 So don’t waste those scraps, turn them into baubles no matter what the yarn size and fibre type! You can find the free pattern here and the video tutorial here. 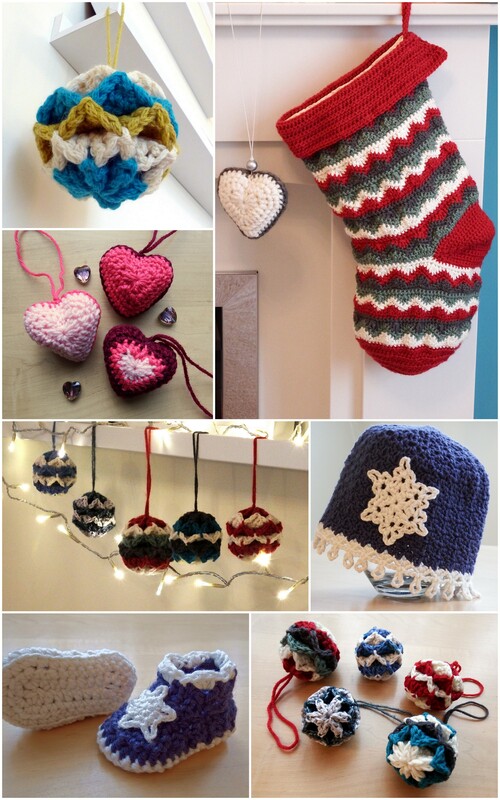 And if you’re looking for other festive makes, why not check out some of my other free Christmassy patterns? 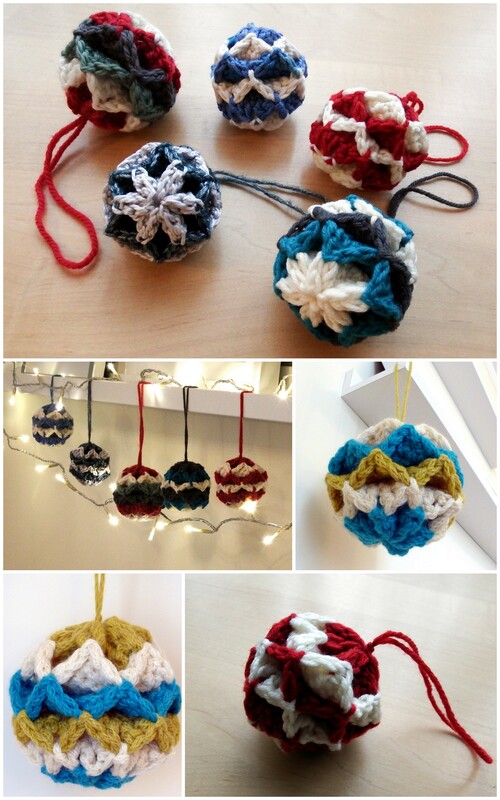 I hope you’re having fun with crochet this season – be sure to let me know what you’re working on!